Out of nowhere one of the hosts gets a flute and other other an accordeon. 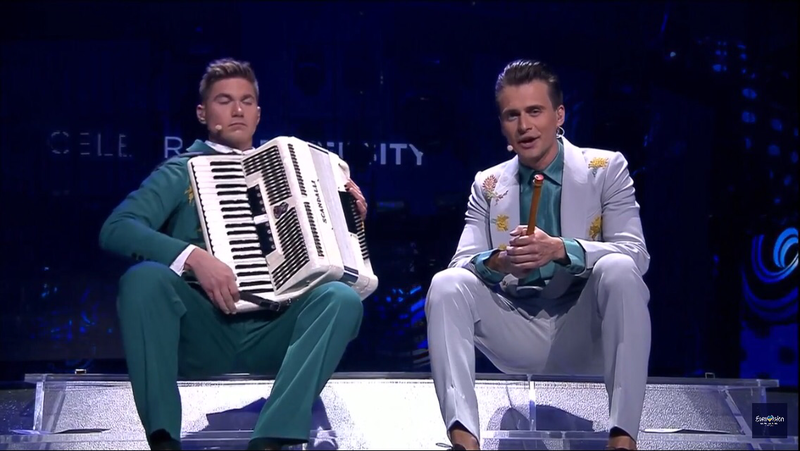 It is hard to top Sweden when they have presented such great musical numbers the last two times they hosted the Eurovision . 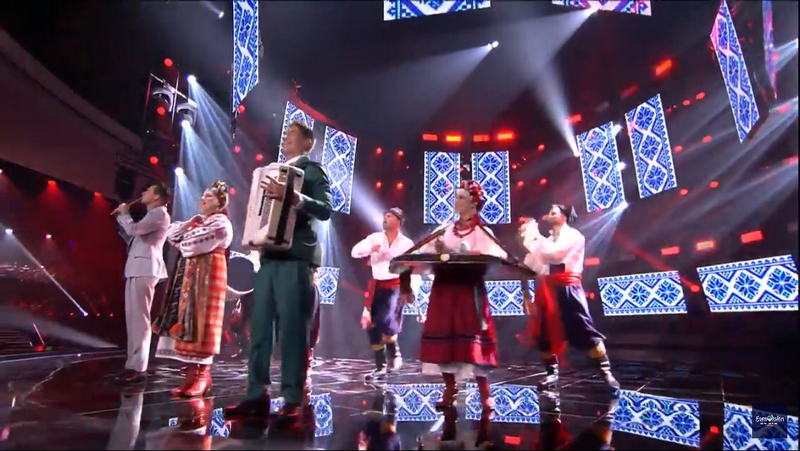 So, to start the second semifinal with a compilation of some of the past Eurovision hits, but with Ukrainian instruments and dance moves. Beautiful start. These are some of the moments where you can see all the people involved in this event and how much the care about the details. Personally this begging got me thrillied ’cause the play my favortite song and the one that got me involve in this, Fairytale by Alexander Rybak, Norway winner of 2008. Opera and pop, this is usually a nice combination, but all sang by the same person….. ehh.. changing back and forth from deep and high pitch voice. I get that he guy has a talent, but people should understand that it is not a talent show and it is show that is solely at trial here. Sometimes it is the show and sometimes it is the eccentricity that get them tot he final, but in this case, it was a good song. As it should always be, eh! 1. 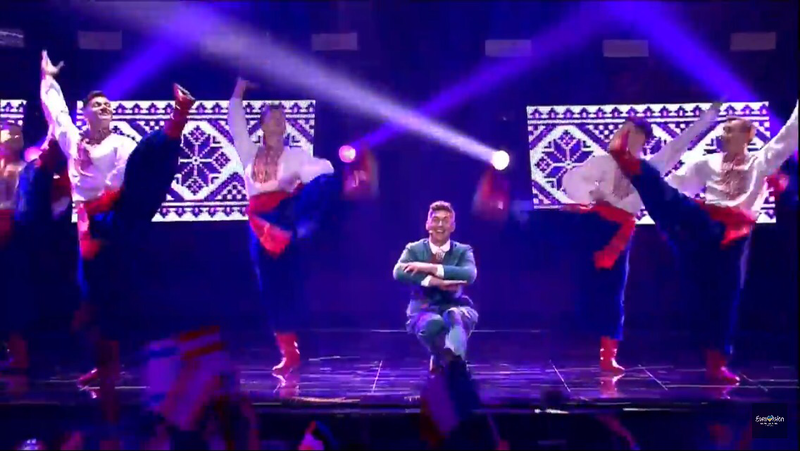 Serbia – She has got a hot dancer with her, maybe she will deserve some points because of that. 3. F.Y.R. Macedonia – Alright, very energetic, but she should learn some better dance moves. 4. Malta – Years back they used to have better song that were nice to listen and catchy… but it appears that last year failure was not a one time thing. 6. The Netherlands – destiny’s child? 7. Hungary – One of those classics that just want to show some folklore. But that is not enough, they gotta mix it with rap. Why? 8. Denmark – ok, nothing special. 9. Ireland – She has a hot air ballo… sorry I mean He has a hot air balloon… but it feels like he is the missing member of a 90′ boy band. 10. San Marino – Finally something nice. 13. Switzerland – Pink and Yellow, pink and yellow… She might get to the final, but not win. 14. Belarus – folklore, folklore, and more folklore in white. 16. Lithuania – I can only see more 90’s style. Am I watching the right show? 17. Estonia – Love her voice, hate his. Please, go get lost in Verona. 18. 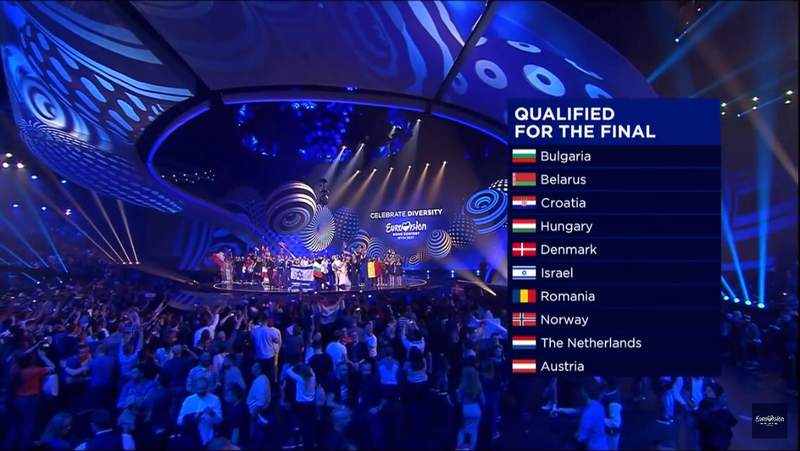 Israel – I still wonder why you guys are in the Eurovision. But with hot guys like this I feel alive.